26 April 2019, 7:00 p.m. Whenever we think of the piccolo as the flute’s little sister, the orchestral instrument’s peculiar, high-pitched sound comes to mind, evoking the chirping of birds. Originally adopted from military bands in the 18th century, the piccolo is increasingly employed in music, but as a solo instrument - outside orchestras and ensembles - it only gained prominence in the last few decades. On the second concert of the Piccolo Pearls series Dávid will perform new works of four Hungarian, an American and an Australian composer. 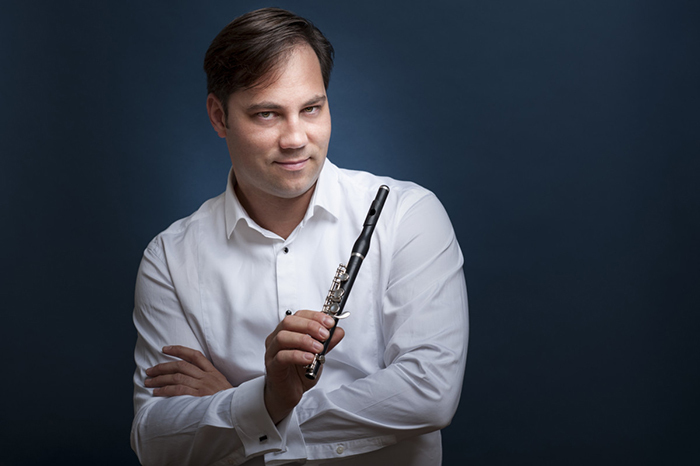 Flutist Dávid Kanyó has been playing the piccolo in the Dohnányi Orchestra Budafok for 15 years, covering most of its classical repertoire. He is devoted to promoting the instrument by presenting new pieces. His long-time chamber partner, pianist Balázs Réti will join him for the present concert.